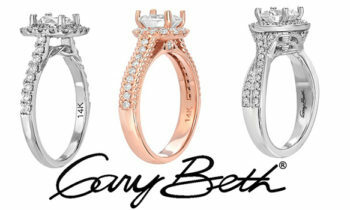 Blog | GaryBeth Jewelry - A Division of Greg Anthony Jewelry Inc. The woman’s ring is presented as an engagement gift by a man to his prospective spouse while he proposes marriage or directly after she accepts his marriage proposal. It represents a formal agreement to future marriage. In Western countries, it is customarily worn on the left hand ring finger, though customs vary across the world. Before agreeing to marry, a couple may choose to buy and wear pre-engagement rings, also called promise rings. After marrying, the couple may wear both engagement rings and wedding rings, or if they prefer, only the wedding rings. Some brides have their engagement and wedding rings permanently soldered together after marriage.